The Israeli Occupation Authorities (IOA) have approved Tuesday plans for construction of 1,292 settler units in West Bank, a settlement watchdog NGO reports. Peace Now reported that the Israeli authorities approved the plans on Tuesday, noting that further approvals were likely on Wednesday. 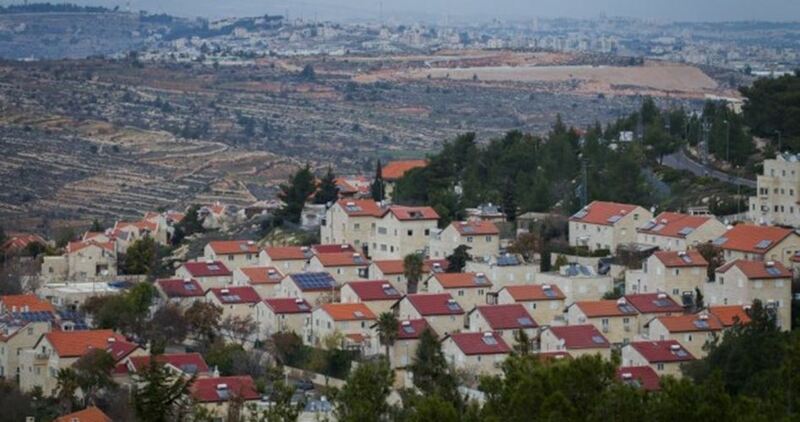 They are part of nearly 4,000 settler home plans to be advanced in the occupied West Bank under a push to greatly boost settlement growth, the source added. On Monday, IOA approved permits for 31 settler units in al-Khalil, the first such green light for the flashpoint West Bank city since 2002. According to Israeli officials, a total of around 12,000 residential units will be granted different stages of approval in 2017, four times the amount last year. In an exclusive interview with the PIC, head of the Mapping Department at the Arab Studies Society, Khalil Tafakji, said that Israel is seeking to bring one million settlers in the West Bank. The Israeli government on Monday approved the construction of 31 settlement units in al-Khalil, according to Israel's war minister, Avigdor Lieberman. 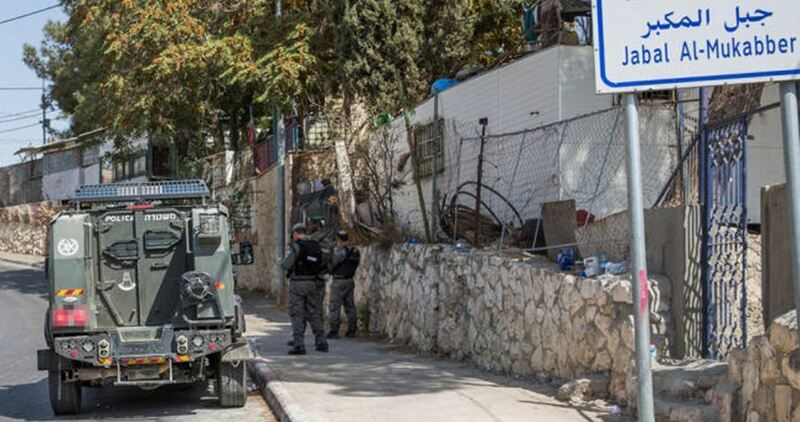 The Hebrew TV channel Seven reported, quoting Lieberman, that the new units will be established in the Jewish neighborhood of Hezekiah near Beit Romano settlement in the heart of al-Khalil city. "I have a personal commitment to carrying out large-scale construction projects in the settlements of al-Khalil in particular and in the West Bank settlements in general," Lieberman said. He added, "We act responsibly and wisely to increase the settlement activity and we do so smartly despite pressure and opposition. There are good results on the ground that speak for themselves." The Hebrew channel said that the Israeli Civil Administration's licensing subcommittee on Monday issued 31 building permits for the new project. 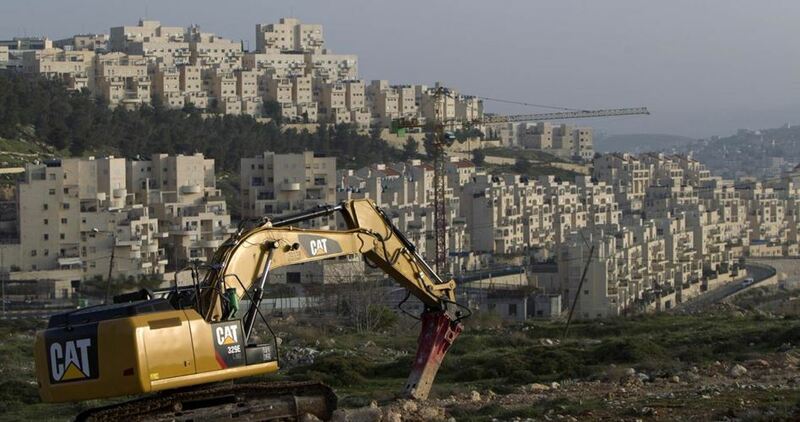 Quds Press reported that the committee will meet on Tuesday and Wednesday to approve hundreds of other settlement units and present plans for the construction of 1,000 new ones. Al-Khalil municipality decided to file a petition to the High Court of Justice against the Israeli decision. Israeli bulldozers on Monday morning demolished a number of mobile houses in the Bedouin community of Jabal al-Baba to the east of Occupied Jerusalem for allegedly being unlicensed. 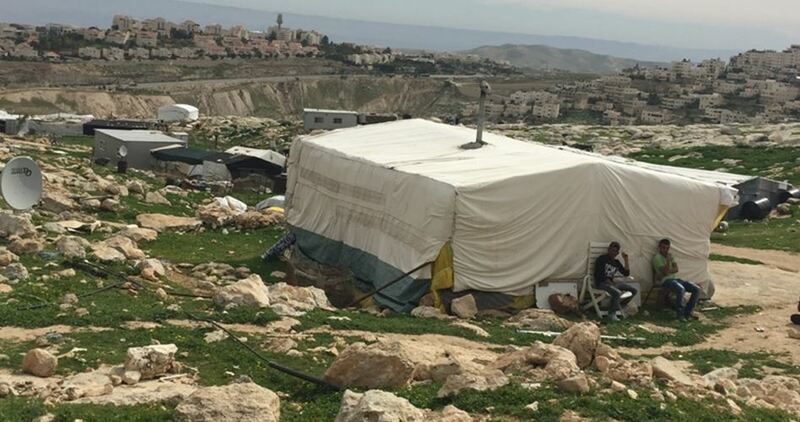 Representative of the Bedouin community, Atallah Mazar'a, said that the Israeli bulldozers, accompanied by the so-called Civil Administration crews, stormed Jabal al-Baba during the morning hours to prepare for the demolitions. According to Quds Press, Mazar'a reported that two mobile houses were knocked down and added that the Israeli bulldozers have not left the area yet since more houses are expected to be demolished. 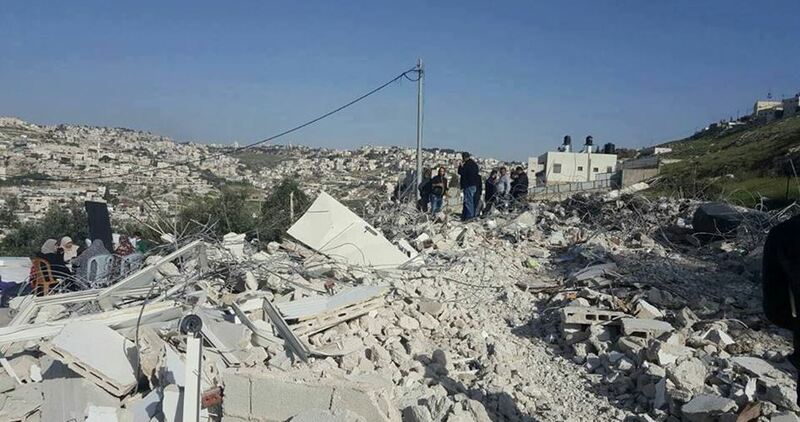 The Palestinian activist condemned the demolitions, noting that the families of Jabal al-Baba were given on Sunday a week-long time limit by the Civil Administration to evacuate their houses, but the Israeli crews suddenly broke into the area on Monday and started the demolitions. Officials from the Civil Administration, escorted by the Israeli police, on Sunday stormed Jabal al-Baba and notified the demolition of five Palestinian houses that are home for 30 people. These measures are part of a settlement project called "Greater Jerusalem" or "E1" which is aimed at separating Jerusalem from the West Bank and seizing nearly 12,000 dunums of Palestinian land in favor of launching new projects that serve the Israeli settlers. IOF Central Command chief General Roni Numa visited on Monday Har Adar illegal settlement, west of occupied Jerusalem, and met with its security coordinator to plan the lifting of the closure on Palestinian workers. Numa’s visit came more than two weeks after the anti-occupation attack that was carried out at Har Adar gate and left three security guards dead and another injured. 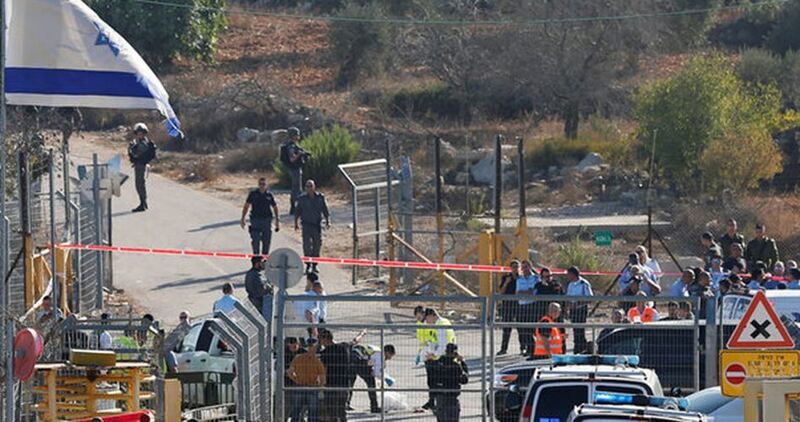 The Hebrew newspaper Israel Hayom reported that new security measures including erecting surveillance cameras have been recently taken at the gate. However, settlers at Har Adar settlement declared their strong rejection to any attempt to lift the ban on Palestinian workers, threatening to protest against the plan. In the wake of the anti-occupation attack on September 26, Israeli authorities barred Palestinian workers from entering Har Adar and pledged to make tight security measures at the checkpoint workers must pass through at the entrance to the settlement. The Israeli occupation authorities have started the construction of hundreds of new housing units in Givat Hamatos illegal settlement, built on Palestinian land in Occupied Jerusalem. 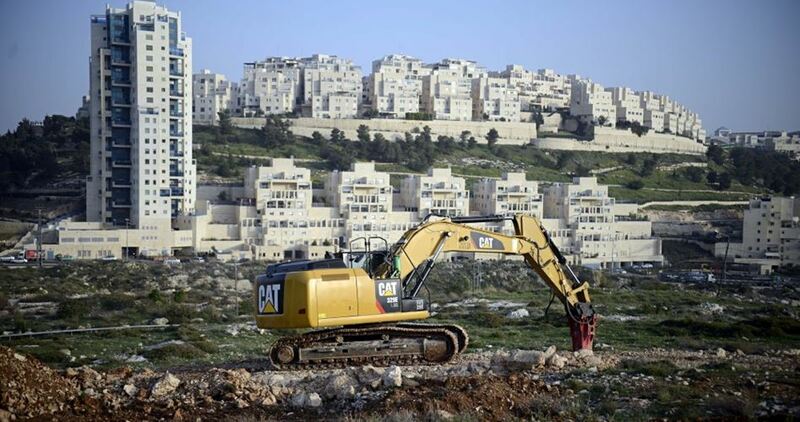 According to Israel’s Channel 10, heavy machinery and construction activity were noted in the area, where some 1,600 new apartments are set to be built in the settlement. The construction plans were approved sometime earlier. The 10-month-old administration of US President Donald Trump has proven much more tolerant of Israeli settlement plans in the occupied Palestinian territories, observers said, adding that the move could cut Occupied Jerusalem off from neighboring West Bank provinces. The Israeli occupation authorities on Sunday threatened the impending demolition of five Palestinian homes east of Occupied Jerusalem. A representative of the Bedouin Jabal al-Baba community, Atallah Muzar’a, said Israeli civil administration crews and army troops stormed the area at noontime on Sunday and handed over demolition writs to civilians. According to Muzar’a, at least 30 Palestinians, including women and children, will go homeless if the notified demolitions materialize on the ground. The Israeli authorities ordered the families to evacuate their homes in less than a week’s time. Home demolition is among the tactics used by the Israeli occupation authorities as part of the so-called E1 project aiming to hold sway over 12,000 dunums of Palestinian lands in Occupied Jerusalem and the West Bank in favor of the internationally-condemned illegal settlement expansion. The Israeli Prime Minister Benjamin Netanyahu pledged on Sunday to build more West Bank roads, in a move aiming to assuage settler anger over his failure to turn promises into action. Netanyahu has pledged to advance a solution for bypass roads in the occupied West Bank as soon as possible, even if that meant making wide ranging budget cuts in government offices. Netanyahu’s promises were released during a Sunday meeting of the ruling Likud Party to discuss settlement activity in the occupied West Bank, among other issues. Netanyahu further lauded Donald Trump’s rejection of the nuclear deal with Iran and sanctions imposed on Iran’s Revolutionary Guard Corps. Hebrew-speaking media have unraveled Israeli plans to grab hold of a park in the Palestinian village of Jabal al-Mukabbir, east of Occupied Jerusalem, in favor of Israeli settlers and tourists. According to Yorshalim weekly, the occupation authorities have set plans to Judaize the High Commissioner’s Palace Park in Jabal al-Mukabbir and turn it into a recreational area for Israeli settlers and visitors. The move makes part of a so-called al-Tala Plan, aiming to establish over 1,000 hotel rooms. The plan, supervised by the Jerusalem Development Authority, is under study. Another plan forwarded by Elad settlement organization suggests the renovation of a side area in the park so as to turn it into an attractive site for tourists. The plan received the approbation of the so-called Local Construction and Planning Committee. It is expected to be put into effect sometime soon. Jewish settlers of Shilo settlement have been working on the construction of a business center on a hill overlooking the historical Silon hamlet located on the lands of Qaryout town near Nablus city in the West Bank. 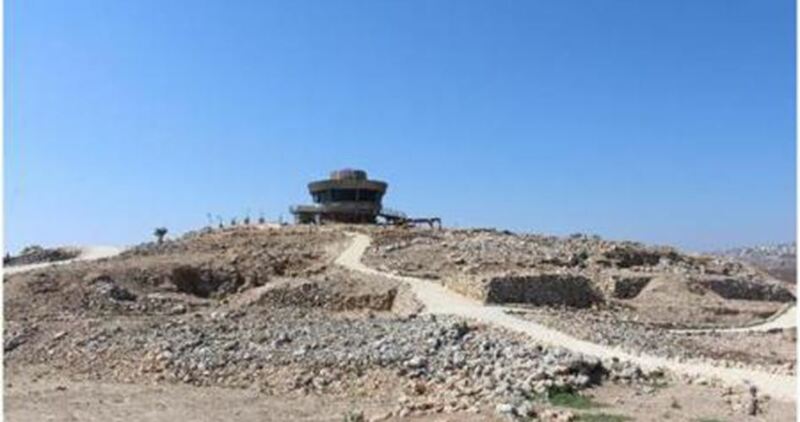 The Palestinian activist against settlement, Bashar al-Qaryuti, said in a press statement on Saturday that the center which is about to be completed includes a round-shaped building with domes placed on a triangular stone. Israeli settlers claim that the area includes remnants of a coffin from the Old Testament. Archaeological excavations and leveling works are still going on in Silon village with full disregard to a resolution issued by Israeli Supreme Court on May 14, 2014. The court's decision stipulates halting excavation works in the area by settlers in order not to change the site's historical nature, Qaryuti highlighted. He pointed out that settlers had announced a plan to seize al-Sahlat area south of Qariout town to expand the touristic area in Silon. A Palestinian official report on Saturday affirmed that the settlement activity in 2017 is over four times higher than that recorded in 2016 due to the support it receives from the Israeli government and the US. The National Office for Defending Land and Resisting Settlement of the Palestine Liberation Organization said that Israel has dramatically escalated its settlement construction in the occupied West Bank and Jerusalem. 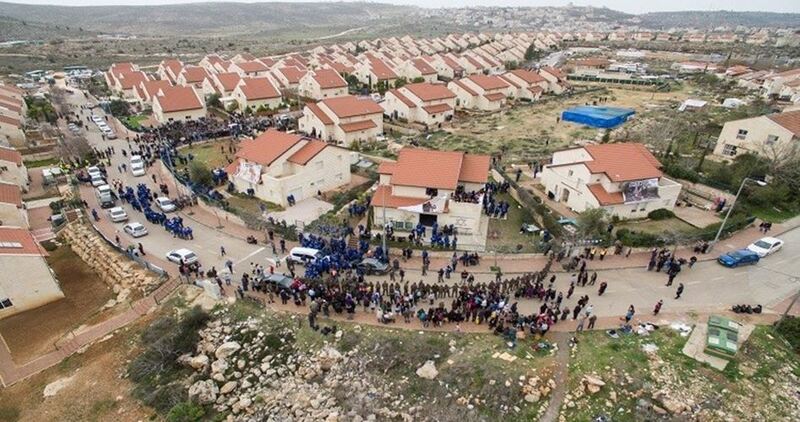 According to the Israeli Prime Minister's office, the Supreme Planning Council at the so-called Civil Administration is expected to approve a large number of settlement schemes that include the construction of nearly 3,800 settlement units. The National Office pointed out that Israeli settlers consider these units insufficient and demand, led by the head of the Shomron Regional Council, Yossi Dagan, the construction of new bypass roads and industrial areas, which means confiscating more Palestinian lands. The Israeli government, according to official statistics, intends to build more than 12,000 settlement units by the end of 2017 making an increase of up to four times in the settlement activity compared to 2016. This was confirmed through data published by Peace Now Movement indicating that 68% of the new settlement plans will be focused on the expansion of random outposts. The report shed light on the attacks carried out by armed Israeli settlers with the beginning of the olive harvest season against Palestinian farmers which included stealing their crops and preventing them from reaching their lands located near settlements. The approval of thousands more housing units in Israel’s illegal colony-settlements across the occupied West Bank is the latest undertaking by the country’s extreme right-wing regime led by war-criminal Benjamin Netanyahu. This daring move, despite being in direct contravention of UN resolutions and international law, doesn’t end there. The new homes are earmarked for one of the West Bank’s largest Jewish settlement blocs, Ma’ale Adumim. Annexation will undoubtedly follow. “This place will be part of the state of Israel,” thundered Netanyahu last week. 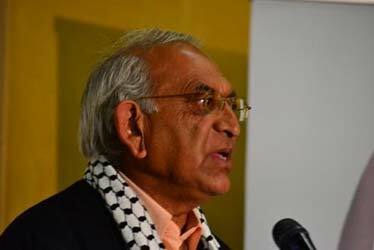 - Iqbal Jassat is an executive at the Media Review Network in Johannesburg, South Africa. His article was published in MEMO. The Israeli government has been gearing up to launch a high-speed electric train connecting Tel Aviv to Occupied Jerusalem. The Tel Aviv-Jerusalem rail project, which costs an estimated NIS 7 billion ($1.8 billion) and has been in the works for years, will cut travel time down significantly to a 30-minute ride. 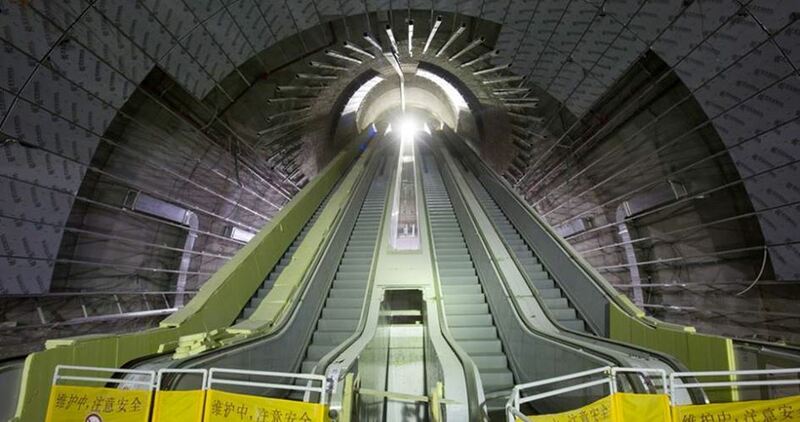 The train will reach high speeds and when fully operational it will carry up to 85,000 passengers daily and 4,000 per hour. Another 2,500 passengers can be carried by the train in emergency cases. Khalil Tufakji, from the Arab Studies Society, has warned that the project aims to connect Israeli settlements to Occupied Jerusalem so as to intensify settlers’ presence in the city and smooth their access to the city center and to Tel Aviv.